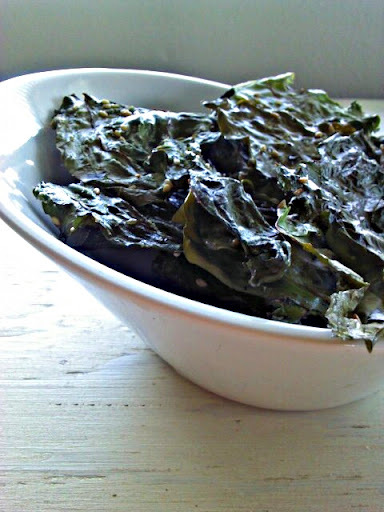 I can’t quite remember when the baked-kale-chips craze began, but all of a sudden, everyone was eating kale chips, and a lot of people were making them at home. 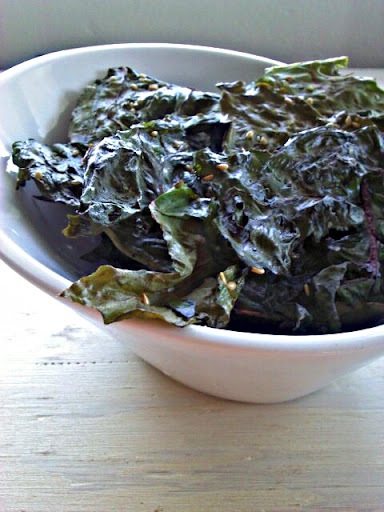 The kale chips became a close substitute for potato chips (ok, not really… who are we kiddning? potato chips will always be potato chips, no kale or carrot will ever be able to replace them). 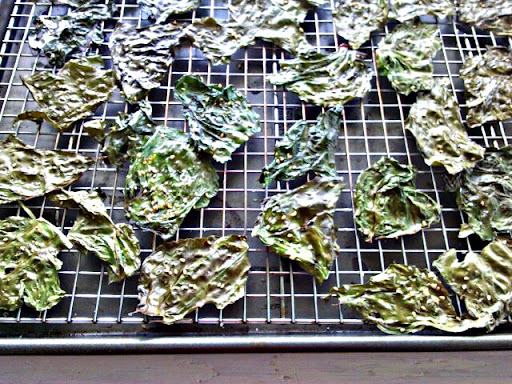 I have been meaning to make kale chips at home, but just haven’t gotten to them yet. And then, just another day, when I was visiting my friend Era, I got a tour of her beautiful and bountiful garden. 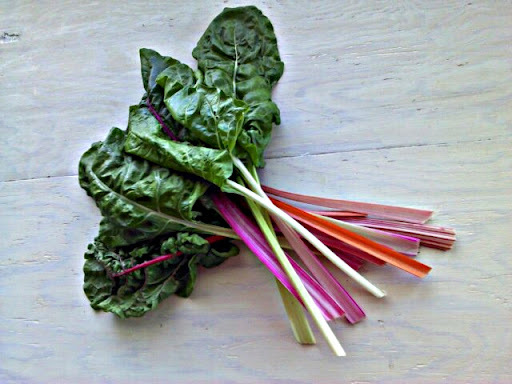 Era sent me home with a bunch of Rainbow Swiss Chard and green lettuce. The lettuce went into a salad, and I turned the Rainbow Swiss Chard into Baked Sesame Rainbow Swiss Chard Chips. 1. Preheat the oven to 375 degrees. Place a cooling rack inside a baking sheet. 2. 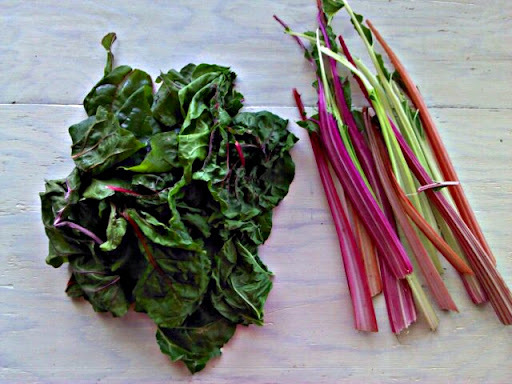 Separate leaves and stalks from swiss chard. Wash and dry the leaves. Drying the leaves is extremely important! If the leaves are wet, they will be soggy in the oven and not bake properly. 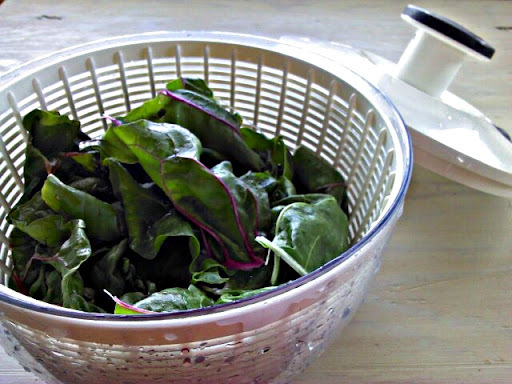 Salad spinner works great for drying out the leaves, but you might need to give them an extra pat with paper towels just to make sure all of the water has been absorbed. 4. 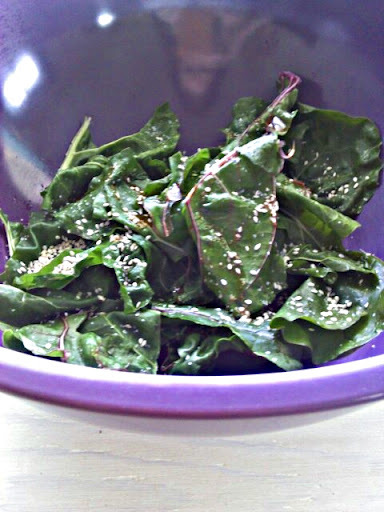 Coat the swiss chard leaves lightly with chili sesame oil. If you are sensitive to the heat, feel free to use regular sesame oil. 5. Sprinkle the leaves with sesame seeds and season with salt. 6. 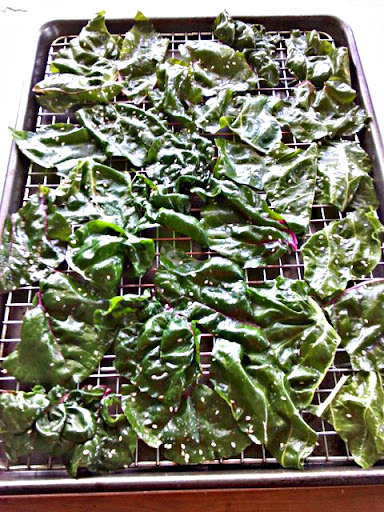 Lay the swiss chard leaves out on top of a cooling rack in a single layer, allowing for some room between the leaves. 7. Bake in the preheated oven for 8-10 minutes, until the leaves are crisp. Cool! I recently moved to Santiago, Chile from Florida and can't seem to find Kale here. So someone suggested Acelga (swiss chard). Gonna try it this weekend. Thanks.